This year’s Detroit Auto Show was a bit of a bummer. Automakers such as BMW, Mercedes, Volvo, Porsche, and others were notably absent from this year’s festivities. The show’s biggest reveals didn’t steal the collective breath of the automotive press, either. And it feels like the public noticed the lack of pizzazz at this year’s show. Attendance numbers are in, and this year’s show brought in 35,000 fewer visitors than in 2018, according to The Detroit News. The attendance decline could be attributed to a significant snowstorm that hit the Detroit area the first day of the public show. Opening weekend attendance was down 33,000 over the opening weekend of the 2018 show, which is a large percentage of the overall decline of 35,000 people. But new, exciting reveals were in short supply this year. Ford unveiled the Shelby Mustang GT500—a car we knew would make an appearance—while Toyota finally revealed the production version of the Supra, which has had an excruciatingly slow and staggered debut that started months ago. General Motors only made a whimper the Detroit Auto Show, unveiling the Cadillac XT6 crossover at a private event the weekend before the show began. Chevrolet had no reveals—not even the mid-engined Corvette made an appearance, which has been delayed. 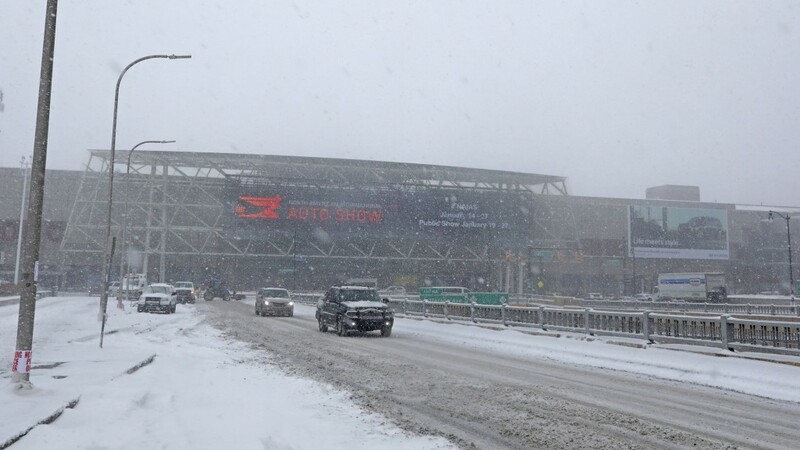 The next Detroit Auto Show won’t take place until June 2020; a move organizers made to better position the show against the growing popularity of the Los Angeles Auto Show and others. The summer event will host a slew of activities outdoors for the first time, with events spreading throughout downtown Detroit. However, it’s unclear if the show’s new date will draw bigger crowds. Either way, Detroit and other auto shows cannot continue to rely on automakers to be enough to attract visitors. Maybe the summer show’s attendance will draw more than the 774,179 who attended the last winter Detroit Auto Show.